The dLAN® TV Sat 1300-HD Set-top box with PVR is the solution for satellite TV experience in any room without the need for antenna cables. It receives DVB-S streams via powerline and thus enables TV reception and recording at any power outlet. The bundle contains a DVB-S tuner, which is placed near the satellite antenna and which streams the DVB-S signals into the powerline network. 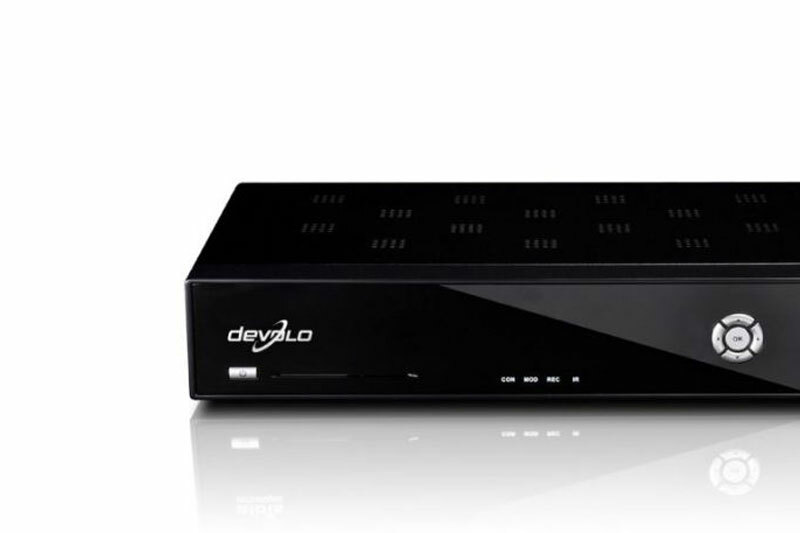 With two DVB-S tuners connected to the network, the Set-top box supports reception of up to two HD channels. TVolution DVB PVR Solution incl. Inaris DVB Middleware as turnkey for reception and recording of DVB streams via powerline (ethernet) incl. user interface application with EPG, Teletext and DVB Subtitles. Specific enhancements: For the devolo package, TARA developed several extensions for the TVolution DVB PVR Solution, e.g. to receive DVB-S streams from an external DVB-S tuner (separate device) and for that purpose send remote control commands (like channel up/channel down) from the STB via powerline to the external tuner.